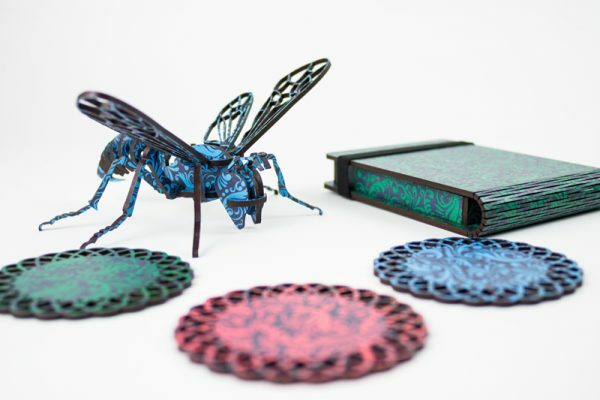 Laser cut poker chips, a styracosaur, a lamp, and a fox! 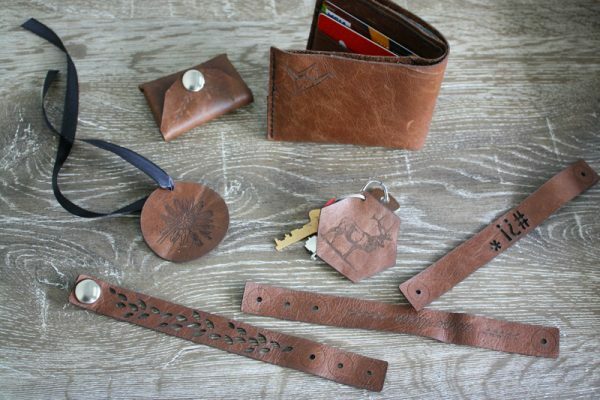 Above is a steampunk poker set. 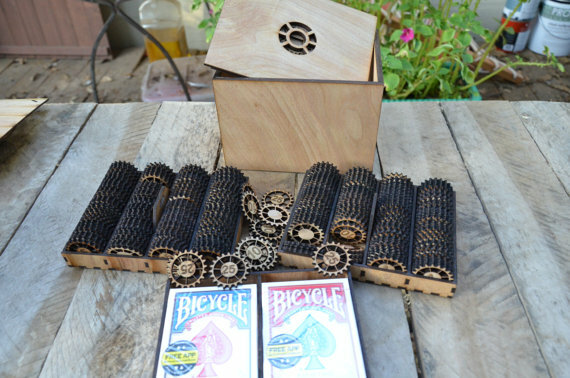 All pieces, including the box, are laser cut from plywood like Ponoko.com’s own Birch Plywood and comes from Plywood Science. 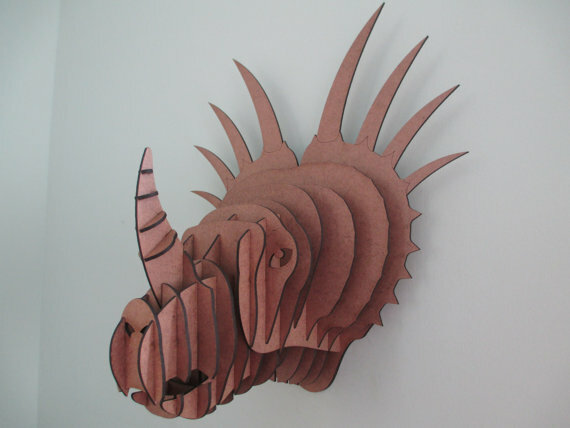 Above is a Styracosaurus wall hanging. It is laser cut 1/8″ hardboard and comes from Heads On A Wall. 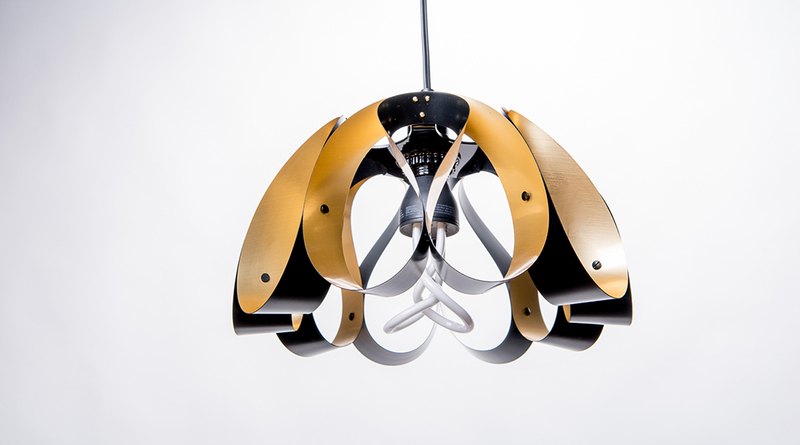 Above is Droplet, and pendant lamp inspired by the fluid forms of jellyfish. 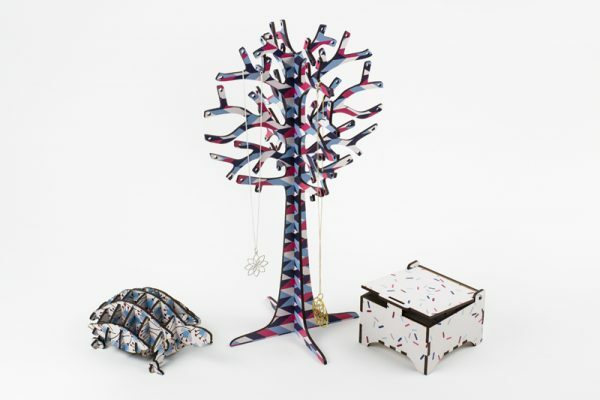 It is laser cut from metalized acrylic and comes from Stuart Fingerhut. 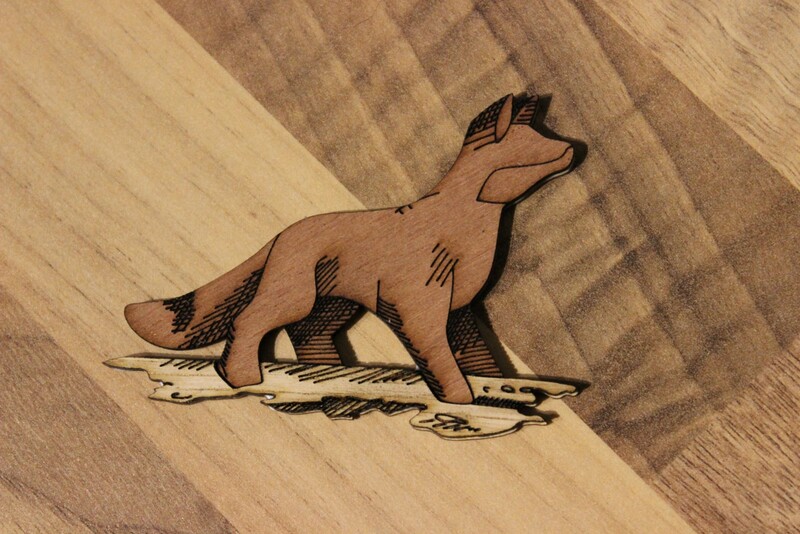 Above is a laser cut and etched fox based on a drawing. It is cut from mahogany and oak with a birch backing and it comes from Martin Reynsford. I’m Sam Tanis and this was the Laser Cutter Roundup #250 from my blog The Laser Cutter where I post laser cutting (almost) daily.